The ranks of the volunteer fire service are filled with honorable, hardworking, and dedicated members. When a new member joins his local volunteer department, he is surrounded by great role models. There are hundreds of stories out there regarding a volunteer who joined up while he was at a low point in his life or maybe a little lost and confuse, bordering on the edge of going in one direction (good) or another direction (bad). But, because of the influence of the honorable, dedicated, and “professional ” volunteers surrounding him, he was pointed in the right direction and actually turned his life around. It seems every time I pick up the newspaper or watch my local television newscast, there are stories about people and organizations placed in the public’s trust that are doing things totally illegal, unethical, or just plain wrong. Just recently, within a two-day period, I read stories regarding school board members, politicians, a company executive, and even some high ranking military personnel caught up in some type of illegal or unethical activity. I am also amazed when I read stories regarding administrators and boards and executive committees bungling paperwork, missing deadlines, incorrectly filling out grant applications, or doing something that hurts their organization, or worse, the people depending on that organization. Many of these leaders are paid very good money to do the jobs expected of them. Many need years of college or experience before even getting their job. These are hard jobs because there is an incredible responsibility placed on the job to deliver; people are trusted to do this job and to have integrity and honor. It really looks bad—and unprofessional—when these people fail. Then, I think of all the volunteer fire departments out there (more than 47,000); all the hard work that goes into keeping a volunteer fire department humming along. The public may think it is simply responding to emergency calls and driving around in expensive trucks and that’s it. But we know better, don’t we? I think about all the extra “routine” tasks that are part of the daily business in a volunteer fire department. I think about how volunteers come home after working their “real job”—maybe putting in an eight- to 10-hour or more work day somewhere, then rushing home so they can quickly have dinner and spend a little time with their loved ones. They might help with their kid’s homework, coach the little league game, or take care of something on that never ending “to-do” list at home. Then, I think of how they rush off to their local volunteer firehouse for that board meeting, to work on paperwork for that grant, or attend a committee meeting. In many cases, there are additional meetings and sub-meetings the same night. The busy volunteer firefighters are sacrificing family time and personal time off to accomplish whatever it is they are working on such as the new rig, furnace, or roof at the firehouse or the meeting with an auditor to ensure everything is being done correctly and legally. I also think of all the great mentors out there sprinkled among the thousands of volunteer firehouses. They certainly can make a positive impact on the life of a wayward soul. These mentors serve as fantastic role models which young members can look up to and strive to take after. They lead by example not only within the firehouse but within the community as well. Their actions alone can teach the values and importance of hard work, pride, honor, and integrity. The chief at that time had to have “the talk” with him (or several “talks”) about the importance of doing well in school and behaving appropriately. Other members provided direction to him either in the ways they acted and went about their daily lives or more directly by having “discussions” with him. Over time, Jason not only received their messages loud and clear, but he also decided the life of a firefighter was definitely for him. He worked hard and ended up becoming a firefighter in the City of Buffalo. New York. He is now assigned to the elite Rescue 1, and I am proud to say that Firefighter Jason Czora was just recently awarded the Buffalo Fire Department’s highest award for bravery after rescuing a 60-year-old man trapped in his burning home. On top of that, Jason is a loving husband and a father to two great kids. He attributes some of his success in life to joining the ranks of my volunteer fire department. He readily admits that it provided him with direction when he most needed it, taught him many valuable lessons, and certainly helped shape who he is today. The public, most likely, doesn’t know these stories. They may notice the shiny new truck, but not have a clue that it took over a year of committee meetings to plan that new rig, in addition to hundreds of hours planning for and hosting fundraisers to help defray the cost of the new rig. Yes, they may notice the speed and expertise the department showed while extinguishing that house fire, but they certainly did not realize the amount of time and training it took to become that proficient. They may notice the firehouse when they drive by it, but they certainly don’t know about the member who has spent the day there waiting for a plumber to come fix the broken pipe (or, in many cases, the member who came up on his own time to fix that pipe). The public may notice a group of firefighters hanging out in the apparatus bay on any given night, but doesn’t realize that among that group is a young firefighter from a broken home spending time with good, honorable people making a positive impact on his life. A passerby may notice cars parked in the lot at his local firehouse, but he certainly has no idea that members are engaged in a late-night meeting revising the department by-laws to ensure they are up to date and conforming with today’s standards. The public may hear about a grant that their local volunteer fire department received, but they don’t know about the enormous effort a member put into applying for that grant or the hours spent at that member’s kitchen table filling out the mounds of paperwork required. The public doesn’t hear about the personal time off a member takes to meet with a local politician (during that politician’s normal working hours) concerning the budget, properly filling out all of the required paperwork and submitting it on time, or ensuring a vendor is paid on time and replacing the burned-out lightbulb on a rig. No, they think it’s all responding to calls for help. When I think of the call response, I am reminded of the dedicated, professional volunteers that go into peoples’ homes and businesses, working to preserve their property and cherished possessions and to simply try and help somebody out who is having a truly bad day. I am reminded of the countless times firefighters have seen money, jewelry, and other valuables laying on a table next to the elderly patient on whom they are working. I am reminded of the times they have walked through a store unwatched by anyone. I am reminded of the countless number of times firefighters have been the last ones in a home or business and lock it up for the owner. I am reminded of how often firefighters have taken the time to salvage that precious photograph, antique furniture, or some personal memento important to the owner in a way firefighters may never know or understand. What is understood is that it is their duty—their calling—to ensure that they do all that is possible to preserve and protect these important possessions and to take care of those people who call on them for help. 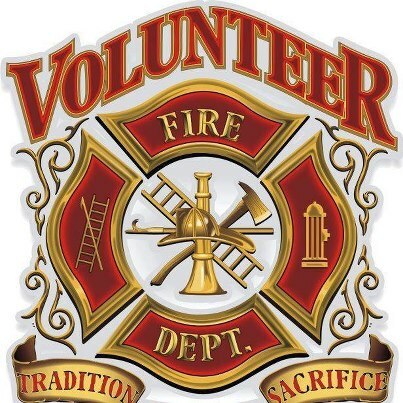 Indeed, I am reminded of the honesty, integrity, and honor possessed by so many of our professional volunteers who proudly wear the Maltese cross and understand what it truly represents. Yes, unfortunately, sometimes we do read about firefighters going astray of the law or doing something questionable or even illegal. Because they are firefighters, it is not only upsetting, but unexpected, because of the trust people have with firefighters. However, more often than not, day in and day out, volunteer firefighters all across America are taking care of business in their local volunteer firehouse; taking care of business in an honest, honorable, and professional manner. 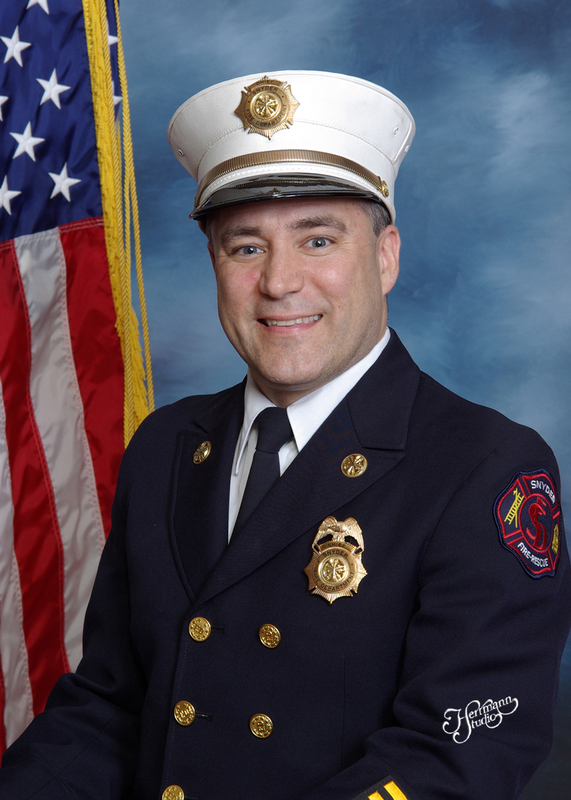 Tom Merrill is a 31-year fire department veteran in the Snyder Fire Department, which is located in Amherst, New York. He served 26 years as a department officer including 15 years in the chief officer ranks, and recently completed five years as chief of department. He also is a professional fire dispatcher for the Town of Amherst Fire Alarm Office.